Again this year Southern California experienced abnormally warm weather in December - January. The Allen’s hummingbirds in our yard set about breeding. 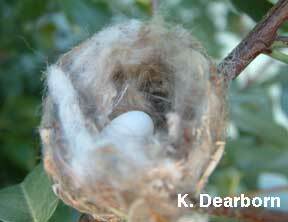 The female who has staked out her territory in the driveway, DR, built a beautiful nest in a native Catalina cherry shrub. DR's territory. 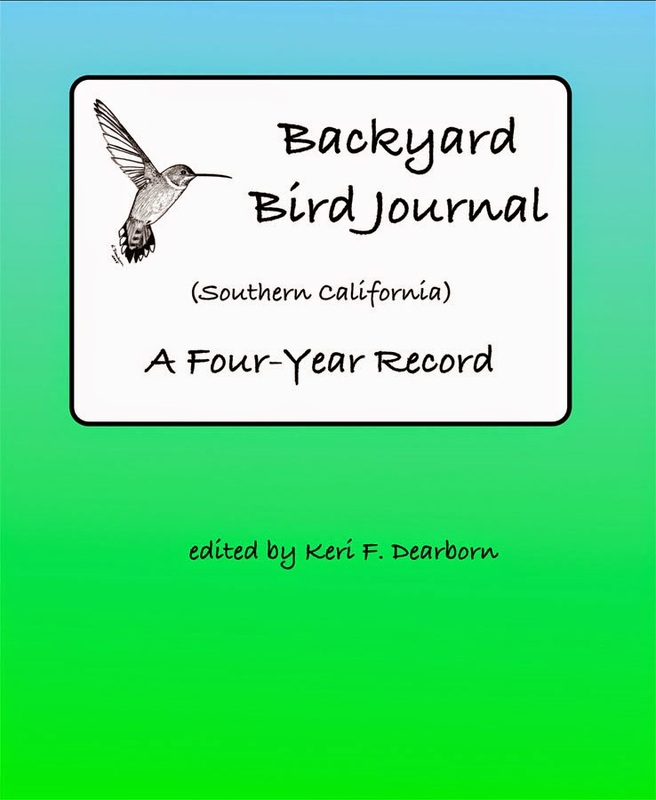 Last year, DR had the earliest successful chick reported to NestWatch in North America. But the consequence of the early nesting was that only one chick survived when winter weather returned. This year, DR once again responded to early days of warm weather and began nesting. Just a few days after laying her two eggs strong winter winds came up and lasted for several days. She rode out the first day keeping her eggs safe in the nest, but on the second day she must have gone off to get some food and wind tossed one of the precious eggs out and onto the pavement. 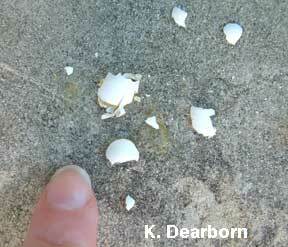 The remains of the tiny hummingbird egg were smashed on the driveway. The next day she was on the nest, but the weather turned and became not only windy but cold. DR abandoned the single egg. After several days it was clear, she had decided to cut her losses and build a new nest in a more protected location. Unusually warm winter weather patterns convince the female Allen’s hummingbirds that spring has arrived. 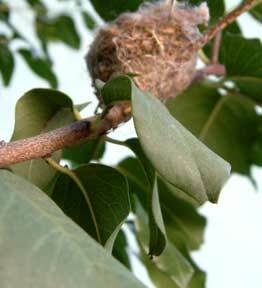 They begin nesting and for the second year, those early nests are unsuccessful. For the tiny hummingbirds it means reproductive opportunity wasted.